SUZHOU, China, March 19, 2018 /PRNewswire/ — The Royal Institute of British Architects has confirmed accreditation of the Masters of Architectural Design programme of Xi’an Jiaotong-Liverpool University, validating its Department of Architecture as a full architectural school offering comprehensive training in the discipline. 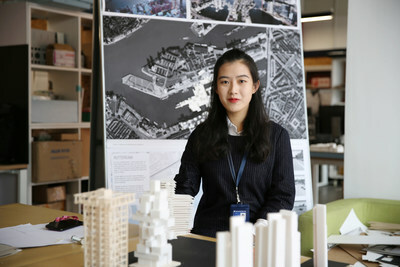 Masters graduate, Xiaohan Chen, now pursuing a PhD with the Department, gave a statement to the RIBA board in which she praised the Department’s strong teaching team, friendly and helpful staff and technicians, international student body, and working environment that is ‘like a second home’. “The big difference about studying here is how approachable the staff are,” said Xiaohan. “The professors are friendly and really help us a lot,” said Xioahan. The RIBA visiting board commended the Department’s ‘extensive facilities’, the interiors which were designed by the former Head of Department Professor Pierre-Alain Croset, and the ‘engaged staff and student body’. “One key aim is to build on previous exchanges and workshops to forge more and deeper connections with other international schools of architecture,” said Christian Gänshirt. “We’re also planning to step up student exchanges with our partner institution, the University of Liverpool, UK,” he said. Founded in 2006, Xi’an Jiaotong-Liverpool University is the largest international collaborative university in China, a partnership between Xi’an Jiaotong University and the University of Liverpool. XJTLU’s vision is to become a research-led international university in China and a Chinese university recognised internationally for its unique features.